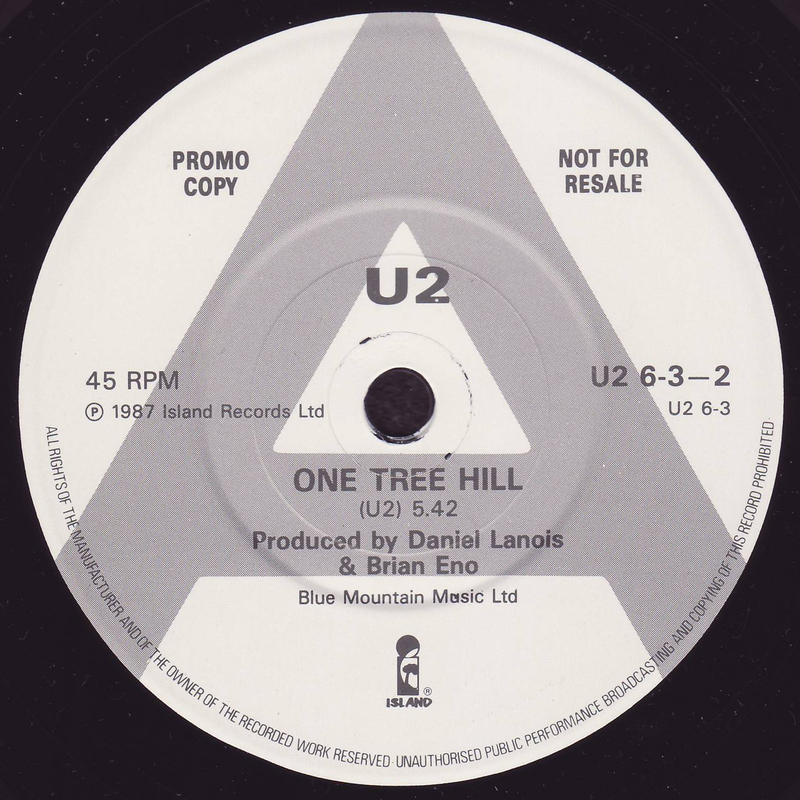 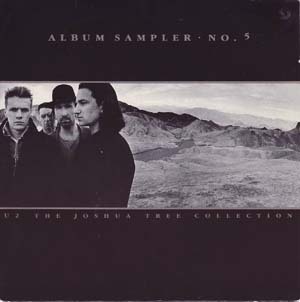 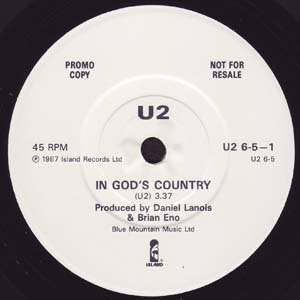 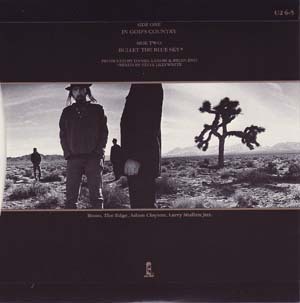 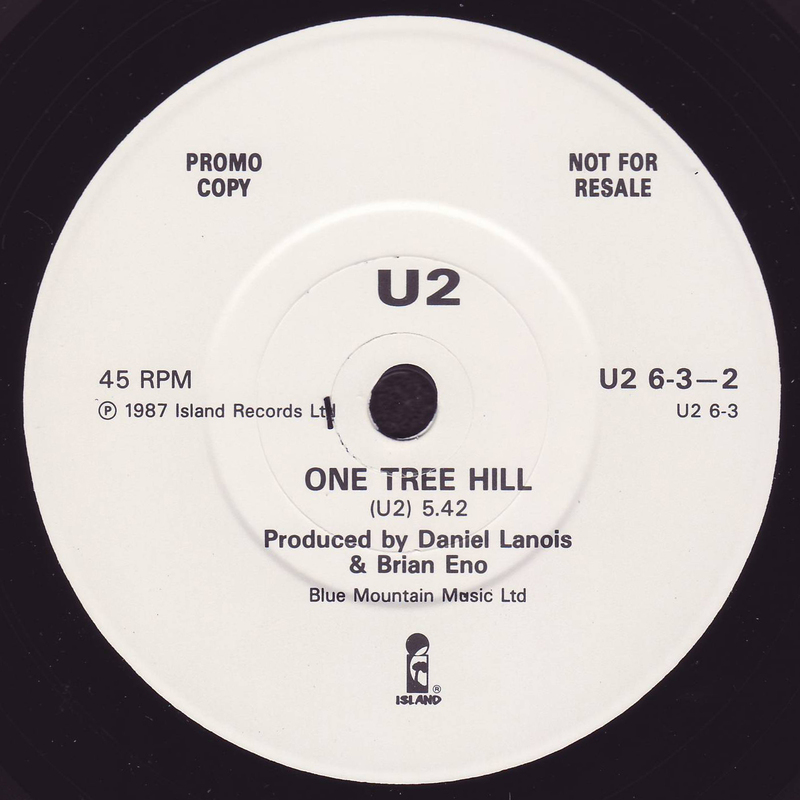 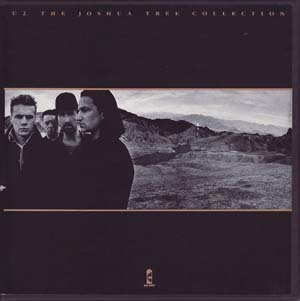 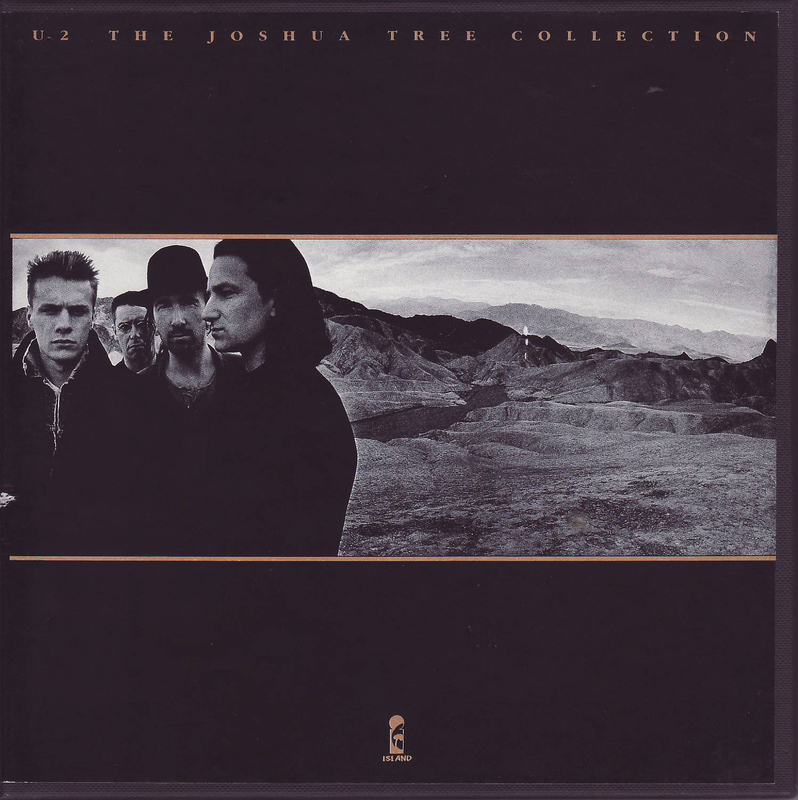 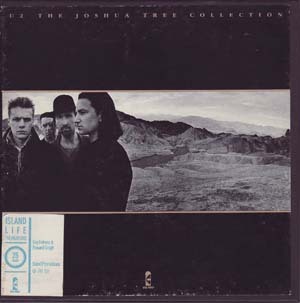 The Joshua Tree Collection - 5 x 7"
A-Label: White Island with "A". A-Matrix: "U2 261-1U-1-1-1" machine stamped. 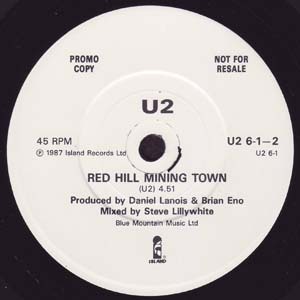 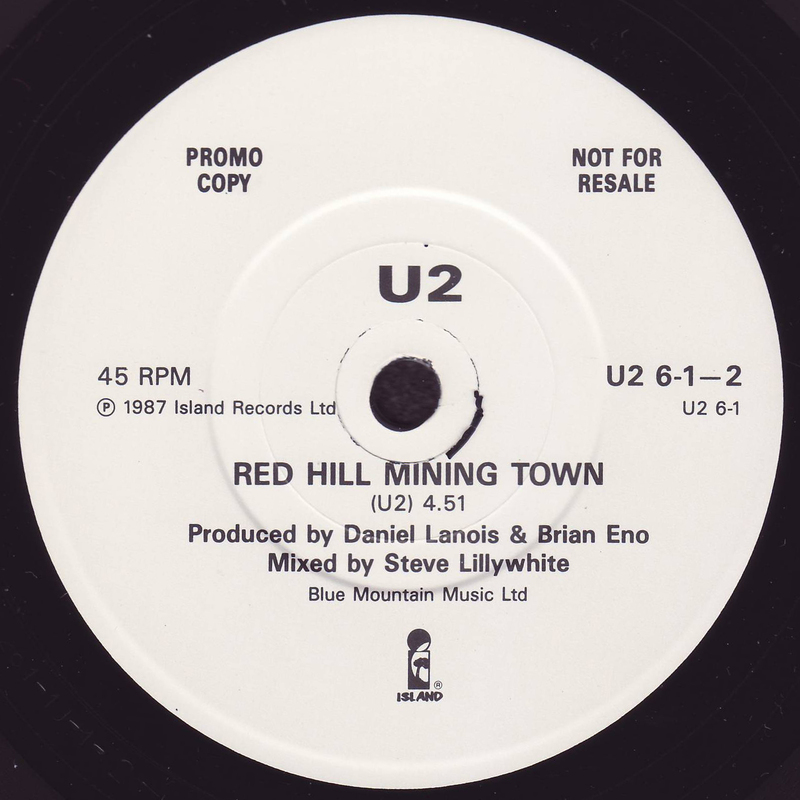 Mispressed with Red Hill Mining Town on Side 1. "Where the Streets Have No Name" title crossed out with marker pen. 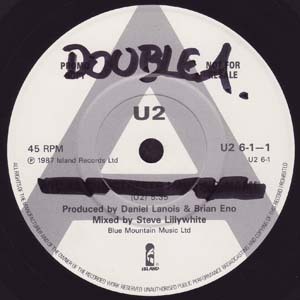 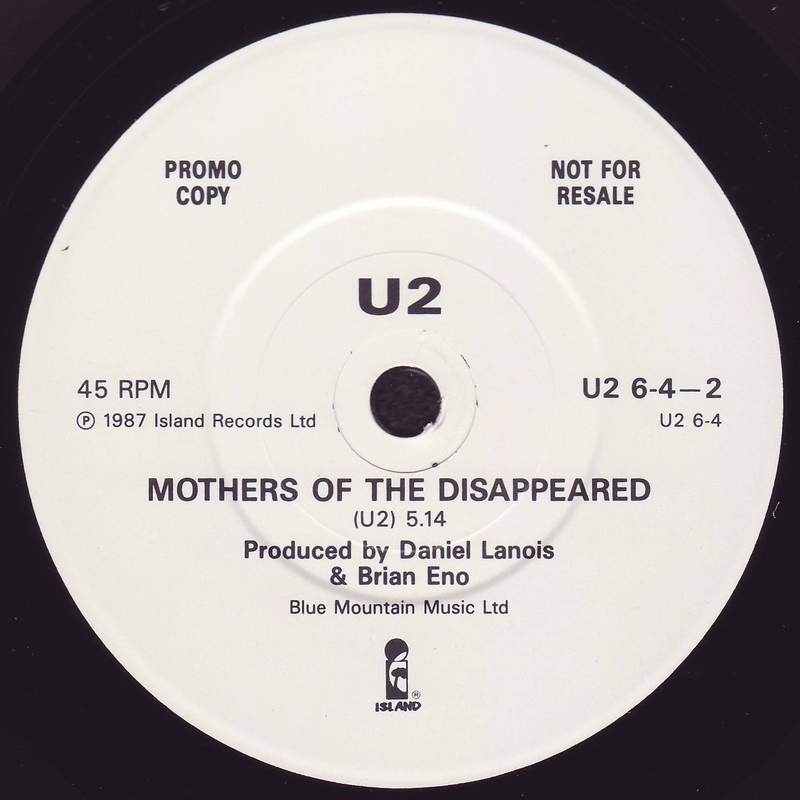 B-Label: White Island with "A". B-Matrix: "U2 261-1U-1-1-M2" machine stamped. A-Matrix: "U1 262-1U-1-1-M2" machine stamped. B-Matrix: "U2 262-1U-1-1-1" machine stamped. A-Matrix: "U1 263-1U-1-1-M2" machine stamped. B-Matrix: "U2 263-1U-1-1-1" machine stamped. A-Matrix: "U1 264-2U-1-1-1" machine stamped. B-Matrix: "U2 264-1U-1-1-M1" machine stamped. A-Matrix: "U1 265-1U-1-1 M2" machine stamped. B-Matrix: "U2 265-1U-1-1-M1" machine stamped. A-Matrix: "U1 261-1U-1-1-M2" machine stamped. B-Matrix: "U2 261-1U-1-2-X1" machine stamped. A-Matrix: "U1 262-1U-1-1-3" machine stamped. B-Matrix: "U2 262-1U-1-1-2" machine stamped. A-Matrix: "U1 263-1U-1-1-2" machine stamped. B-Matrix: "U2 263-1U-1-1-3" machine stamped. A-Matrix: "U1 264-2U-1-1-3" machine stamped. B-Matrix: "U2 264-1U-1-1-1" machine stamped. A-Matrix: "U1 265-1U-1-1-3" machine stamped. B-Matrix: "U2 265-1U-1-1-5" machine stamped. A-Matrix: "U1 261-1U-1-1-1" machine stamped. B-Matrix: "U2 261-1U-1-1-1" machine stamped. A-Matrix: "U1 265-1U-1-1-1" machine stamped.